Lydia Corbett (née Sylvette David) was born in Paris in 1934. She grew up in an artistic environment (her English mother being a painter, her father an established dealer in contemporary art with a gallery on the Champs-Élysées), though she received no formal training. 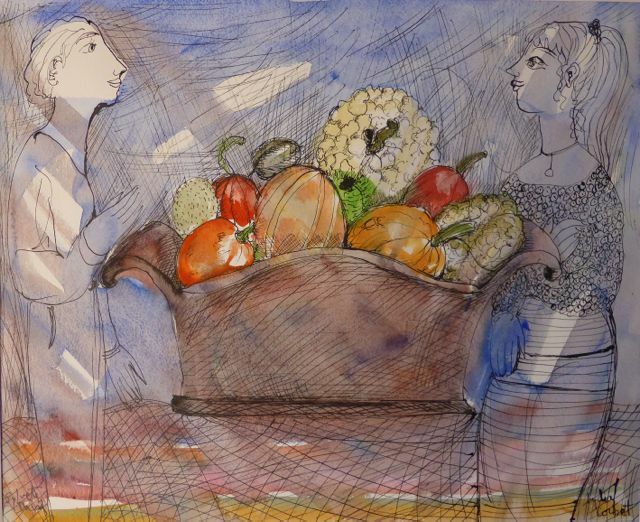 In the 1950s she met Picasso at Vallauris in southern France. Following the artist’s separation from Françoise Gilot, his meeting with Lydia (then still Sylvette) introduced a new phase in his work and she became the model for some fifty paintings and drawings (the Sylvette Cycle) as well as many ceramics of this period. The “Heads of Sylvette”, a series of painted folded metal sculptures which Picasso developed at this time, mark the next major innovation in his sculptural work. Around a quarter of all the Sylvette paintings are now in public collections worldwide from the Art Institute of Chicago to the Kawamura Museum of Art in Sekura, Japan. In 2003, in Picasso et les Femmes at the Chemnitz Museum, Germany, many of these works were shown in a section of the exhibition devoted to the Sylvette cycle. Lydia Corbett moved to England in 1968 and has been represented by Francis Kyle Gallery since 1989. On the occasion of the Tate Gallery’s 1993 exhibition of Picasso’s sculpture and paintings, a documentary film on Picasso and Lydia Corbett was shown on BBC2. In 1991 she exhibited in Japan and in 2004 in the United States. 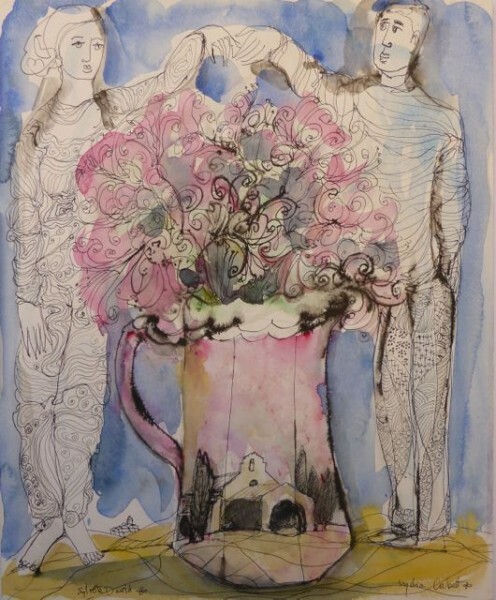 In 2014, her watercolours were shown at Theater Bremen, concurrently with the major exhibition, Sylvette, Sylvette, Sylvette, devoted to Picasso’s work inspired by her shown at the Kunsthalle Bremen. At this time also she was the subject of a one hour feature film produced by ARTE nationally broadcast in both Germany and France.